What is the Credit Curve? 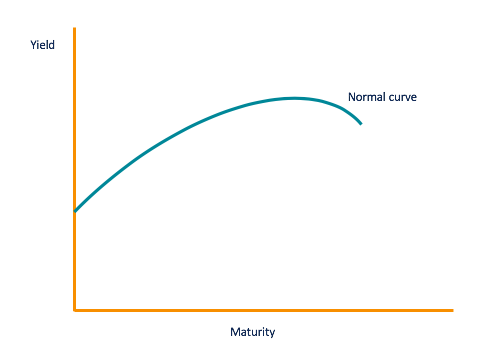 The credit curve is the graphical representation of the relationship between the return offered by a security (credit-generating instrument) and the time to maturity of the security. It measures the investors’ sentiments about riskSystematic RiskSystematic risk is that part of the total risk that is caused by factors beyond the control of a specific company or individual. Systematic risk is caused by factors that are external to the organization. All investments or securities are subject to systematic risk and therefore, it is a non-diversifiable risk. and can affect the return on investments. 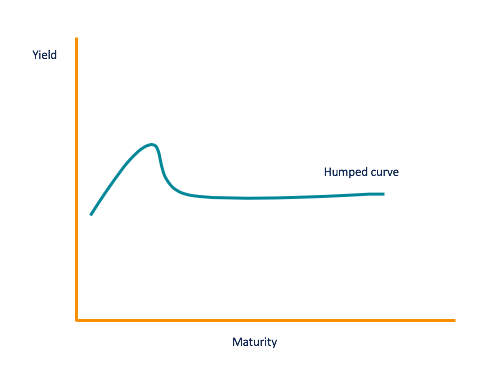 The difference between the first maturity on the curve (the short end) and the last maturity of the curve (on the long end) determines the steepness of the curve. The steepness of the curve is usually greater (upward sloping) for companies in cyclical industries such as retail. It is because the probability that such companies will default over time is greater. Some companies show a flat curve; it is a sign that the probability of defaultProbability of DefaultProbability of Default (PD) is the probability of a borrower defaulting on loan repayments and is used to calculate the expected loss from an investment. is uniform over the different points of maturity. A downward sloping or inverted curve shows that the company is likely to default in the near future but far less likely to default in the long term. The credit curve reflects the immediate, short-term, and long-term rates of securities and gives the investor an indication of where the economy is headed. The curve can be normal, steep, or inverted. Short-term bonds usually offer lower yields and therefore, lower risks. It is because when investors stay invested in a certain security for an extended period of time, they will be rewarded for their commitment. It is reflected in the normal yield curve where the slope moves upward. The normal curve also indicates that investors expect the economy to move at a normal pace with no significant turning points such as a recession or inflationInflationInflation is an economic concept that refers to increases in the price level of goods over a set period of time. The cause for inflation in the short and me. When the credit spread becomes wider, it results in a steeper credit curve. It is also a sign that there will be economic growth or inflation in the economy. The curve becomes steeper right after the depression when the government lowers short-term interest ratesInterest RateAn interest rate refers to the amount charged by a lender to a borrower for any form of debt given, generally expressed as a percentage of the principal. The asset borrowed can be in the form of cash, large assets such as vehicle or building, or just consumer goods. to increase growth in the economy. During this time, long-term bondholders are at risk of getting locked into low rates, which can affect their purchasing power. As a result, they demand higher interest rates for their long-term commitment. Sometimes, the credit curve can be inverted when long-term bondholders are willing to settle for lower returns compared to short-term investors. It is because when long-term investors believe that the interest rates are going to fall even further, they become less demanding of the bond issuers. The low interest rates are an indication that the will be a slowdown in the economy, which happens when the curve becomes inverted. Investors need to become alert when the curve is inverted as low interest rates will lead to a recession. 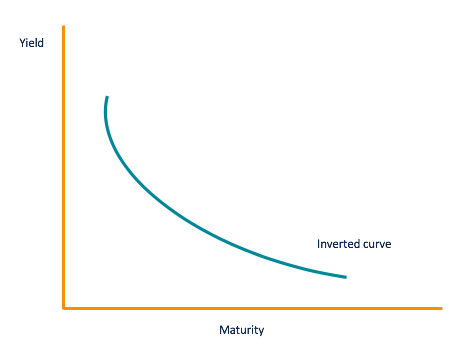 Before the credit curve becomes inverted, it goes through a phase where the short-term interest rate becomes close to the long-term interest rates. The curve that represents the phase is flat with a small elevation in the middle. It is known as a humped curve. However, not all humped curves turn into inverted curves, but it is a sign of an economic slowdown and low interest rates. How are Credit Curves Used? The credit curve shows a range of maturities at various interest rates. They can vary by investment. One of the most important uses of the yield curve is its ability to predict the movement and strength of the economy. The Treasury yield curve is the most often used credit curve. It is used as a benchmark curve against which all other credit curves are measured. The yield of the Treasury curve is usually low as it is backed up by the government. However, it can be used as a benchmark for riskier bonds such as AAA-rated corporate bonds. The difference between agency bonds and a government bond is called the “spread.” If the difference between the two is low, it makes the investor more confident in investing in the bond that is not backed by the government. The difference in the bonds (spread) is increases during a recession as agency bonds become riskier. It decreases when there is growth in the economy as the bonds are now safer to invest in. Inverted Yield CurveInverted Yield CurveAn inverted yield curve often indicates the lead-up to a recession or economic slowdown. The yield curve is a graphical representation of the relationship between the interest rate paid by an asset (usually government bonds) and the time to maturity. Return on Investment (ROI)Return on Investment (ROI)Return on Investment (ROI) is a performance measure used to evaluate the returns of an investment or to compare efficiency between different investments. ROI measures the return of an investment relative to the cost of the investment.